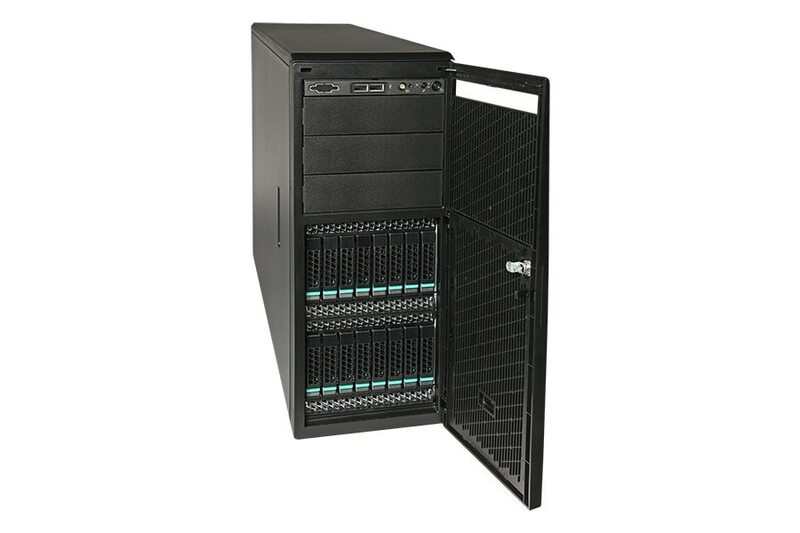 Intel® Server Chassis P4216XXMHGR 17.24" x 24.9" x 6.81"
Intel® Server Chassis P4216XXMHGR (1) Intel® Server Chassis P4216XXMHGR- Pedestal form factor (6.81" x 17.24" x 24.9") (16) 2.5" Hot-Swap Drive Carriers, (2) 750W Common Redundant Power Supply (Platinum Efficiency), (2) 120mm fixed fans. Airduct sold separately. Intel® Server Chassis P4216XXMHGR Hot-swap 2.5"